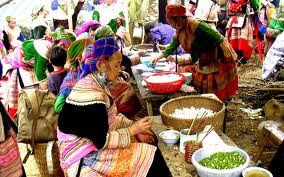 Sin Chai is a village of the Dao ethnic people, whose women wear beautifully embroidered clothes with distinctive silver jeweler and an enormous red turban. 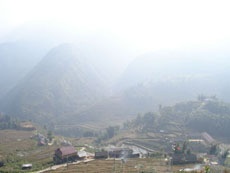 This village offers an amazing vista across the valley. 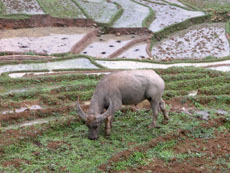 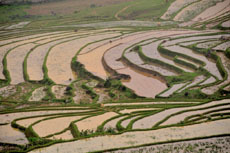 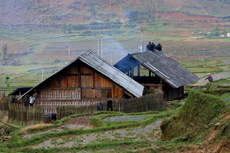 Location: Located at the foot of Fansipan Mountain, ‘the roof of Vietnam and Indochina’ is Sin Chai village, about 30 kilometers trekking from Sapa town. 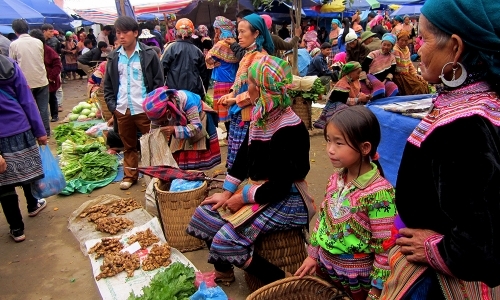 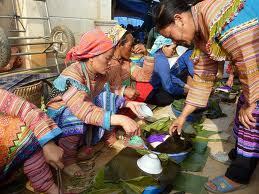 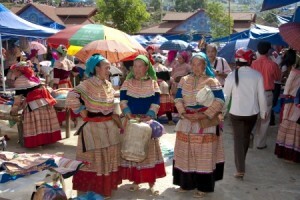 Sin Chai is a village of the Red Dao ethnic people, whose women wear beautifully embroidered clothes with distinctive silver jeweler and an enormous red turban. 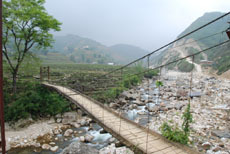 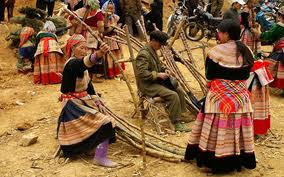 Coming to Sin Chai village, visitors can experience cultural beauty. 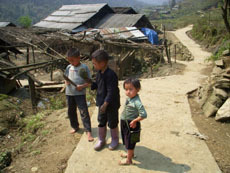 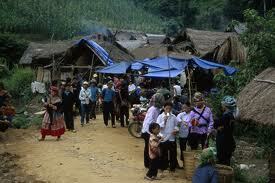 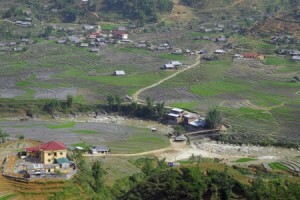 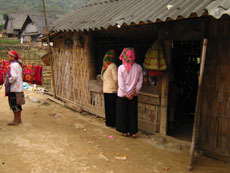 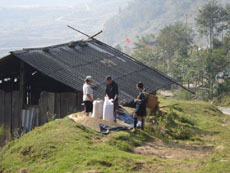 Sin Chai is a community village. 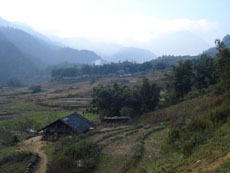 In this village, local people will take the time to teach textile weaving and dying, will take the group on a locally built trail to explain the names and function of the local flora. 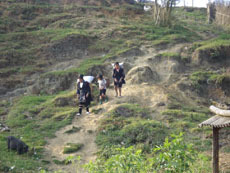 There will be the opportunity to participate in the village community, there will be a traditional sporting activity and tree planting. 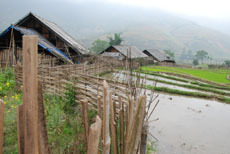 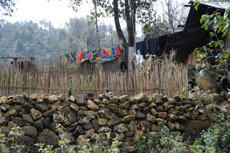 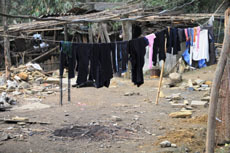 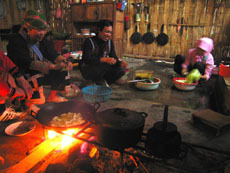 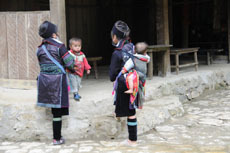 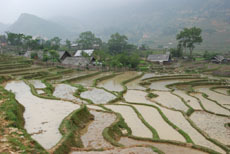 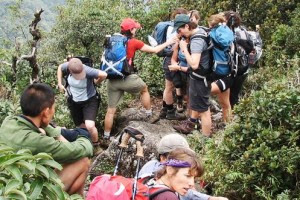 But before staying in Sin Chai Village, the visitors shall have a chance to stop over Cat Cat Village, just 2 km trekking from Sapa Town let and on the way to Sin Chai Village, to learn about the life of Black Hmong people.